One of the most popular reasons for drinking smoothies is weight loss. But filling your blender up with lots and lots of fruit, then throwing in some milk or juice just isn’t going to cut it. For a start you are loading up with too much fruit. This will give you a quick energy burst, but will leave you feeling hungry again a short time later once the sugar high wears off. So your smoothie needs to be substantial enough to last you through to your next meal so you won’t be tempted to snack in between. The best way to lose weight with smoothies is to treat them as meal replacements. Substitute one or two meals a day, preferably breakfast and/or lunch with a filling nutritious smoothie, then eat a healthy balanced meal in the evening. One of the easiest ways to lose weight is to reduce the amount of calories in your diet. The same goes with smoothies. Smoothies are whatever you put into them and it’s easy to create a 600 calorie monster. If you fill your blender with rubbish foods you will not lose weight. Aim for between 300 – 400 calories as a smoothie meal replacement. Sugar - in fruit, milk and the added sugars found in food. 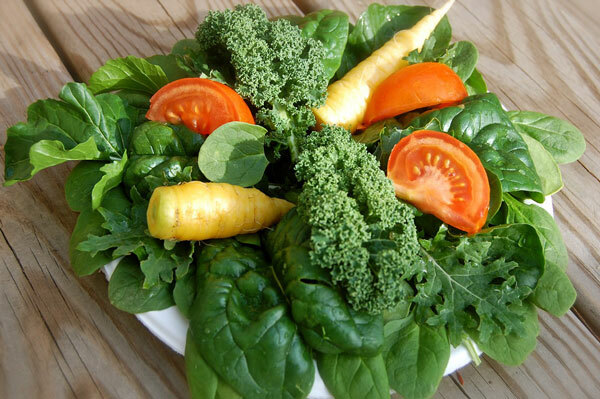 Dietary Fiber – found only in plant foods. Most of the sugar in your diet should come from foods such as fruit and dairy products rather than refined sugars. However a smoothie filled with only fruit, is going to contain too much sugar and will leave you feeling hungry shortly after. For a healthy smoothie you need to balance that out with other ingredients that contain protein or healthy fats such as avocado, greens, nuts or seeds. Fiber is essential for dropping the pounds. Why? There are two reasons. First because food containing fiber is digested at a much slower rate so you don’t get a spike in blood sugar levels. Second, it fills you up to prevent hunger so you don’t end up raiding the cookie jar and snacking between meals, thereby eating less. Fat, along with carbohydrates and protein, is an essential nutrient. Healthy fats, such as unsaturated fats are essential for good health by helping the body absorb nutrients. In fact the fat-soluble vitamins A, D E and K need fat so our bodies can use them. Fats come in two forms: saturated and unsaturated. Saturated fats are found mainly in animal products such as red meat, butter, cheese and whole-fat dairy products. Unsaturated fats are found mostly in plant products, but also in seafood. 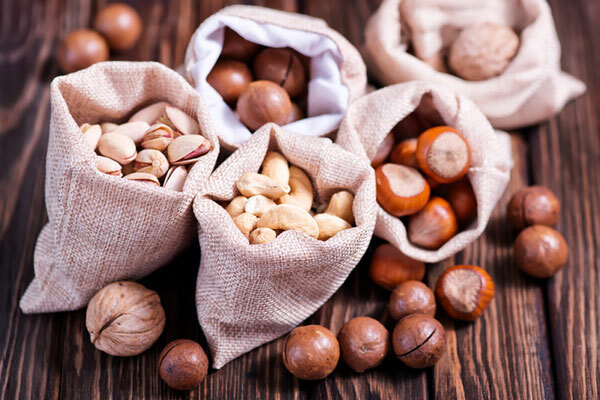 These healthy fats include monounsaturated and polyunsaturated fats and help keep the cholesterol balance in your blood, by decreasing the bad (LDL) cholesterol and increasing the good (HDL) cholesterol. Monounsaturated fats are found in olives, avocados and nuts. As well as improving blood cholesterol levels, research has shown that they may benefit insulin levels and blood sugar control, especially helpful if you have type 2 diabetes. Polyunsaturated fats are essential fats. This means they are required for normal bodily functions, but our bodies can’t manufacture them and so they must be taken in through diet. There are two main types: omega-3 and omega-6 fatty acids. Omega-3 fatty acids are found in walnuts, flaxseed, canola oil, chia seeds, oily fish like tuna, salmon and sardines and seafood such as scallops and mussels. Omega-3 fats are important for brain and heart health and may reduce inflammation. Omega-6 fatty acids are found in many types of vegetable oils, such as corn, soybean, and safflower and have also been found to help protect against heart disease. Protein is an important component for fueling the body. 15 – 20% of your daily calorie intake should come from protein. It also helps with weight loss. Protein takes longer to digest so burns up more calories, which means you’ll shed those pounds much quicker. Proteins are made up of chains of amino acids. Foods such as quinoa, fish, eggs, meat and cheese contain all the essential amino acids. While grains, legumes, vegetables and fruits contain only some of them. The body breaks down the protein found in food into their individual amino acids and uses them to renew and repair our body cells. To lose weight with smoothies your drink needs to contain sufficient protein to sustain you through the day, otherwise you will start to feel hungry again soon after eating. 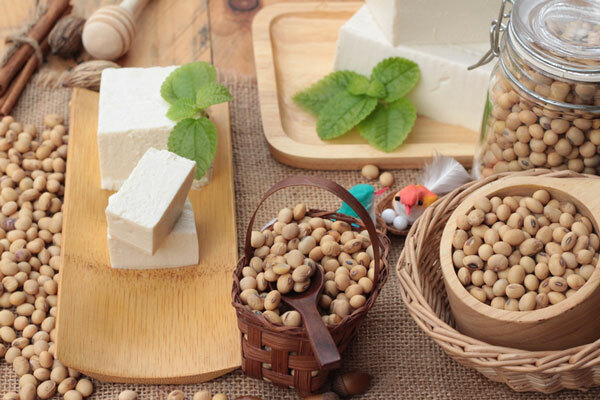 Protein can easily be added to smoothies in the form of soy milk, Greek yogurt, cottage cheese, soft tofu, beans, nuts or nut butters. Added Sweeteners – If you have added naturally-sweet fruit you don’t need additional sweeteners such as honey or maple syrup. One tablespoon can add over 60 calories. Canned Fruit – Canned fruits are often full of sugary syrups which will add unnecessary and unwanted calories to your smoothie. Dairy - Greek-style yogurt is the exception here. Dairy will add extra calories to your smoothies and should be avoided if you are looking to lose weight. Flavored Yogurts- The only yogurt I add to my smoothies is Greek yogurt. Many flavoured yogurts have added sugars. Best avoided. Fruit Juice - Fruit juice is concentrated fruit. The sugars are concentrated with none of the fiber you would get with the fruit. Even if you squeeze your own juice, you are still consuming a lot of sugar. Best avoided in weight loss smoothies. 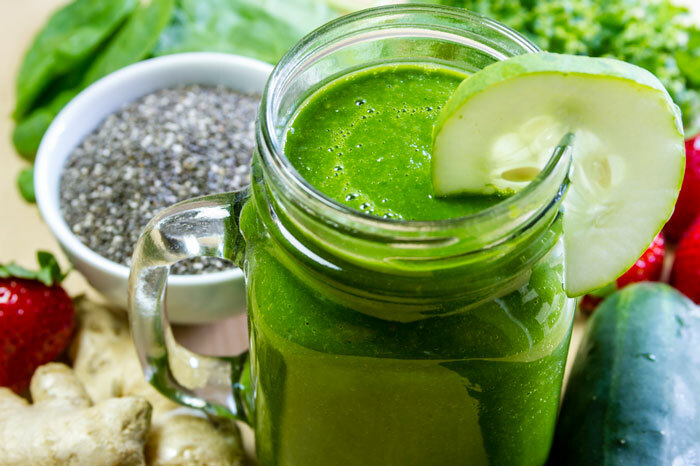 Not only will you lose weight with these smoothies, but you will have more energy, will never feel hungry, have better digestion with an overall feeling of wellbeing.